Irvine, Calif., March 23, 2016 – Jean Hamilton Aldrich, wife of University of California, Irvine founding Chancellor Daniel G. Aldrich Jr., died Wednesday, March 23, at age 96 in Irvine, the city she watched grow into a diverse technology and business hub centered around a top-level research university that was once just her husband’s vision. It didn’t happen without some hard work. Rural, conservative Orange County was somewhat suspicious of the “liberal” University of California invading its grasslands. Jean Aldrich’s ready smile, infectious laugh, grace under pressure and ease in the community helped dispel such concerns. While the campus was under construction, she threw herself into health and arts projects. She sat on the boards of a home for the developmentally disabled and South Coast Repertory. Once the campus opened, Jean Aldrich started the first Town & Gown group, comprising faculty wives and women from Newport Beach and Costa Mesa. (There was no city of Irvine then.) She also served on scholarship selection committees and defused a student demonstration with hot chocolate, cookies and prayer – courtesy of the family pastor. She even filled in for her husband at the French Consulate once, giving a speech completely based on her knowledge of high school French. 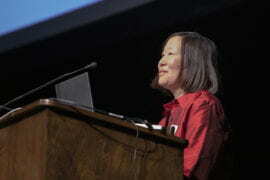 Even after her husband’s retirement from UCI in 1984 and his death six years later, she remained connected to the campus and community. In 1990, she was honored with the UCI Founders Award for her tireless dedication and support. 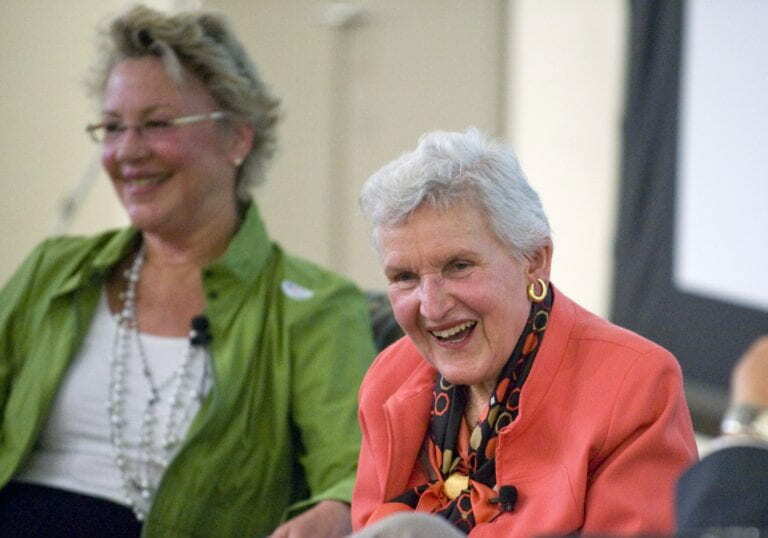 At age 94, she helped host her second U.S. president (the first being Lyndon B. Johnson at the campus dedication in 1964) when Barack Obama spoke at the 2014 commencement ceremony. 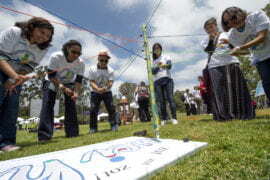 The event at Angel Stadium of Anaheim kicked off the campus’s two-year 50th anniversary celebration. 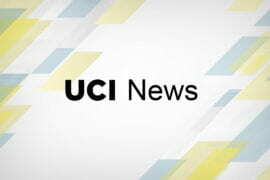 She also contributed to the UCI Libraries’ commemorative oral history project. And she was a familiar face around town – especially at Trader Joe’s in University Town Center. Jean Aldrich was born Sept. 29, 1919, in Corregidor, Philippines. Her father was a career U.S. Army officer whose service took the family on global travels. She settled in Tucson, Ariz., with her mother after her father died. She attended the University of Arizona, where she earned the Freeman Award for top female graduate and was honorary captain of the ROTC cadet corps. She competed in swimming and horseback riding in college and played tennis in later years. She is survived by her three children – Daniel G. Aldrich III; Elizabeth A. Toomey, who retired in 2012 as UCI’s assistant vice chancellor for government and community relations after 25 years of service to the campus; and Stuart Aldrich, a businessman and headhunter – as well as seven grandchildren and 16 great-grandchildren. 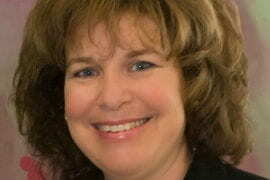 Celebration-of-life services will be announced in April. In lieu of flowers, the family asks that remembrances be sent to the Dan & Jean Aldrich Scholarship fund or the Town & Gown Scholarship fund at UCI or to Community Church Congregational in Corona del Mar.